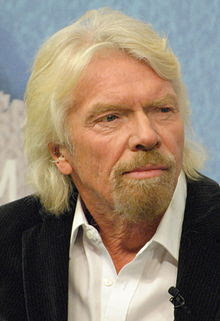 British billionaire Richard Branson is back on. 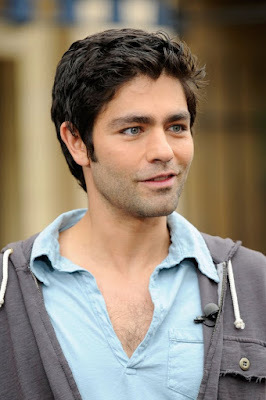 He recovered from a recent head-first, high-speed cycling crash on the British Virgin Islands and is on track to attempt a charity tandem swim together with American actor Adrian Grenier in the 3.2 km Strait of Messina in Italy on September 27th. Coach Bruckner Chase said about Grenier, "He has been traveling a lot, but he is in excellent hands with coordinator Nino Fazio and pilot Giovanni Arena for the Strive Swim. He finished up his preparation with some great group training swims with us in Ocean City, New Jersey. When he gets in with the right group and next to the boat he will be great, and he is very motivated to make it across." While cycling down the hills of Virgin Gorda as part of his training for the upcoming Virgin Strive Challenge, Branson crashed and ended up with a cracked cheek, numerous lacerations and torn ligaments. He said, "I really thought I was going to die. I went flying head-first towards the concrete road, but fortunately my shoulder and cheek took the brunt of the impact, and I was wearing a helmet that saved my life." And now the adventurer and visionary behind the Virgin brand will carry on with his Virgin Strive Swim. Branson and Grenier, best known for Entourage and The Devil Wears Prada, will attempt to cross the Strait of Messina from mainland Italy to Sicily which is rare for a single crossing of the Strait of Messina; a vast majority of swimmers swim in the other direction due to the local tidal flows and current directions. For more information and details of the history of swimming across the Strait of Messina, visit here. For individual swim crossing records across the Strait of Messina in various strokes, visit here.